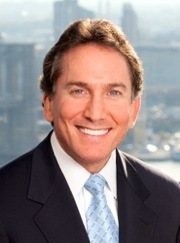 The Partners of Gair, Gair, Conason, Rubinowitz, Bloom, Hershenhorn, Steigman & Mackauf are pleased to announce that Ben B. Rubinowitz has been named Managing Partner of the firm following the death of Robert L. Conason. Throughout his 30-year legal career, Ben has made his mark as a leading trial lawyer combining hard work and dedication with his remarkable courtroom skills and presence. Mr. Rubinowitz began his career as a prosecutor, where he honed the trial skills that would become his hallmark. He joined GGCSMB&R in 1989. Ben is a member of the exclusive Inner Circle of Advocates, The International Academy of Trial Lawyers, a Director of the New York State Trial Lawyers Association and a Past President of the American Board of Trial Advocates. He was also named by Best Lawyers as The 2013 Lawyer of the Year, Personal Injury Litigation-Plaintiffs-New York City Area. Our firm which was named by U.S. News and Best Lawyers as 2013 Law Firm Of The Year, Personal Injury Litigation-Plaintiffs, with 9 of our Partners listed in Best Lawyers in America, will continue, as it has for over 90 years to specialize in the most serious and significant personal injury and general negligence cases, which range from construction and automobile accidents to medical malpractice and complex products liability claims.